The newest bar in Canberra has a playful and funky name and a cool neon sign near the street (presumably so you don't miss it). 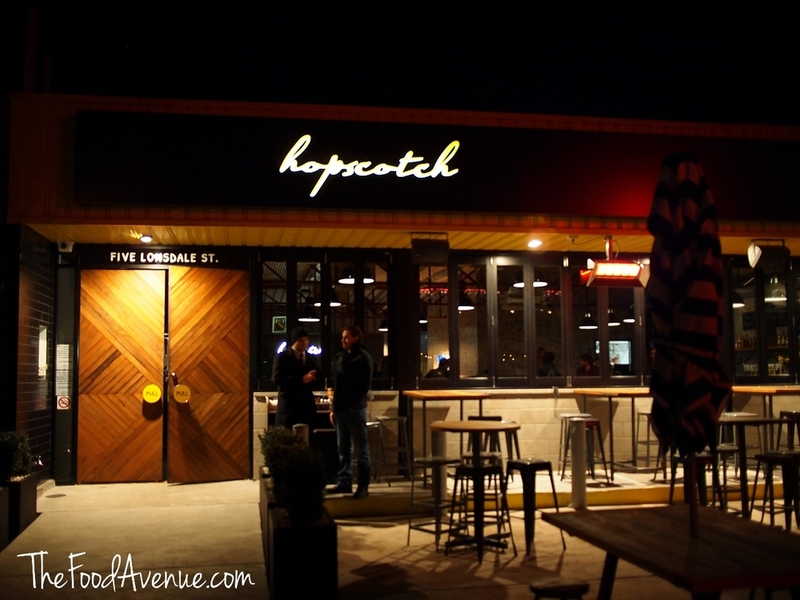 Located on Lonsdale st, where a car dealership, a hair salon and a fishing tackle store used to be, Hopscotch bar serves beer (hops), scotch, and wood-fired food. So, it seems more like a gastropub than just a bar, which is perfectly fine by me! 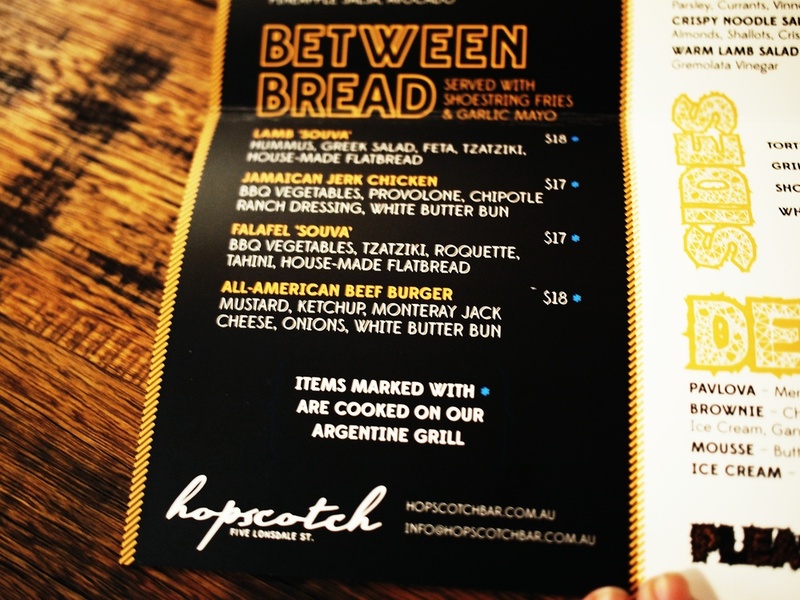 According to the Canberra Times interview with the owners, Hopscotch has three beers on tap that no other Canberra establishment has – a Pikes Clare Valley, Illawarra Brewing Company pale ale and an Endeavour Brewers Reserve. But after a long day, I was in the mood for something a bit stronger. The knowledgeable bartender had a bit of a chat to me about my preferences and poured me some of this wondrous liquid - the Glenkinchie 12 year old single malt. It was just perfect. It came from an impressive line up of whisky bottles on a laden shelf, which I'm sure could have easily lead to a very enjoyable evening of whisky tasting were it not a week night! We then decided to test out some of the bar snacks (all food is ordered at the bar). The well-seasoned strips of Tajin spiced calamari ($15) were crisp and deliciously tender. And it came with a side of the most amazing kimchi slaw. Can't recommend this dish enough. I haven't had calamari this memorable since the famous "marshmallow calamari" from the Narooma Oyster Festival! On this particular night, the Crispy buffalo wings with hot sauce and blue cheese ranch dressing ($14), unfortunately, were a bit of a soggy disappointment after the delightful calamari dish. The wings weren't at all crispy, seemed a bit lukewarm and under-seasoned. I would have liked a bit more spice and complexity to the marinade. The blue cheese part of the blue cheese ranch dressing was not very prominent either. 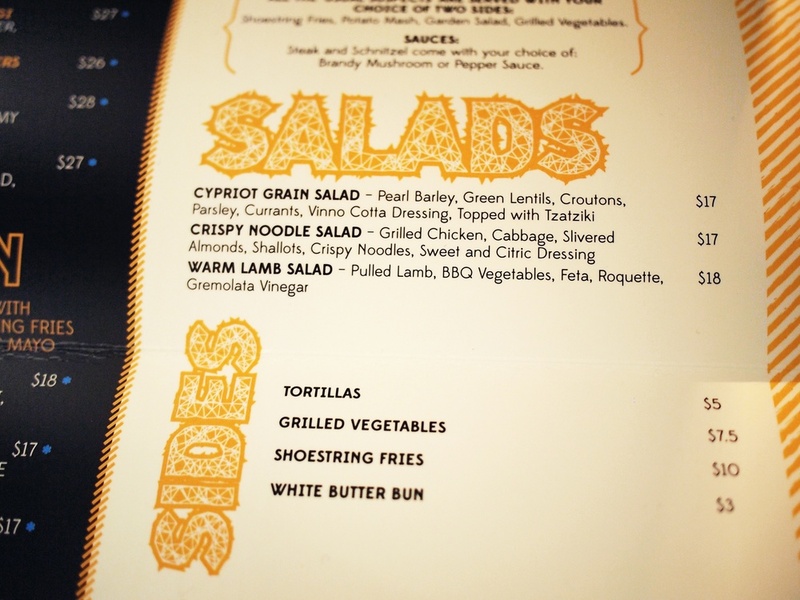 The parilla grill looked very impressive from where I was sitting and there were some exciting-looking menu items that I'll definitely be trying out at my next visit (photos of the menu below). 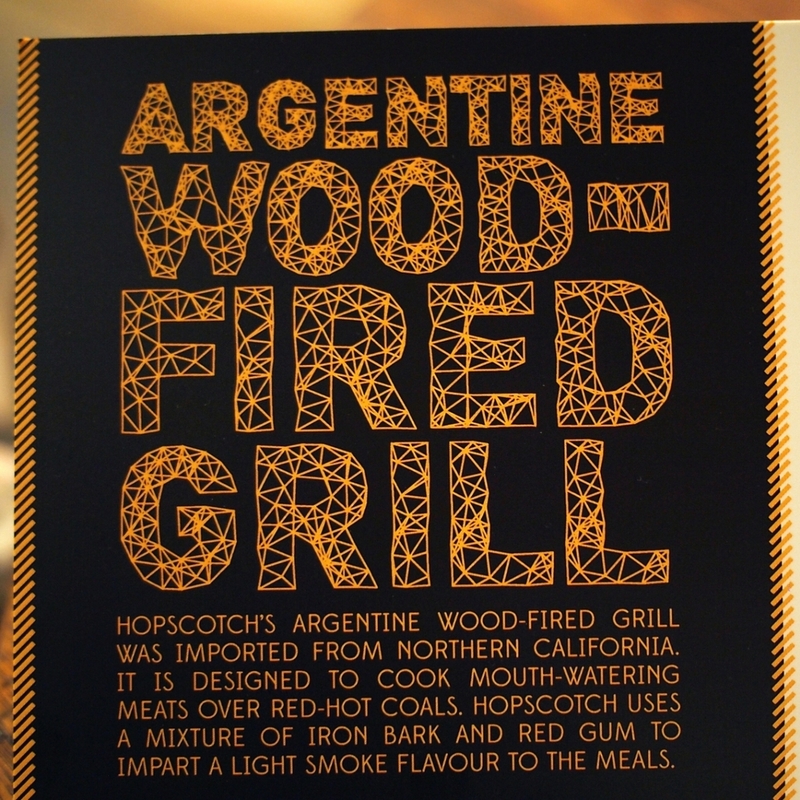 Also, Hopscotch's Facebook page promises a delicious Pig on the Spit in the beer garden on Sundays, so that's a definite drawcard! 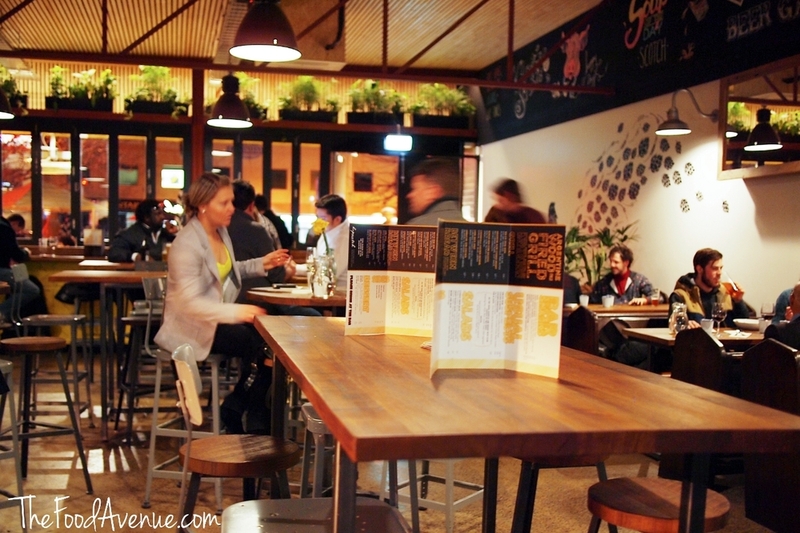 Have you checked out Canberra's newest bar/pub/gastropub yet? What did you think? Leave a comment below! The Low DownAddress: 5 Lonsdale st, Braddon, Canberra Email: info@hopscotchbar.com.auPhone: 02 6107 3030 Website: http://www.hopscotchbar.com.au/ Facebook: https://www.facebook.com/hopscotchbraddon Hopscotch takes bookings for parties of 6 or more people. They serve lunch from 11.30am and dinner from 5pm. All content, including images, on this website are the property of the author. Rights to the use of these images (for web or print) are available for purchase.